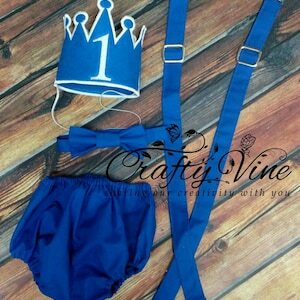 This is the perfect cake smash set for your Prince's birthday!! 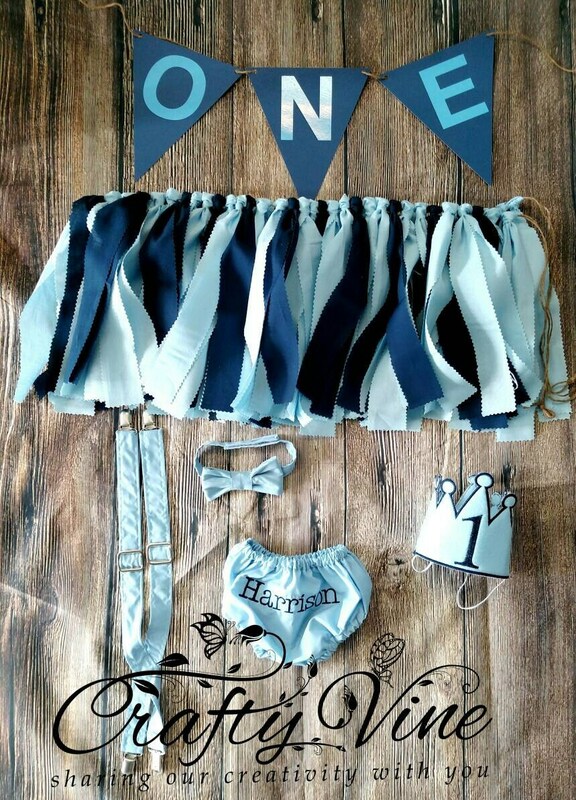 Set includes diaper cover with or without name ( please leave a note with name if needed), a crown, adjustable suspenders, bow tie, ragtie banner, and a paper pennant banner. 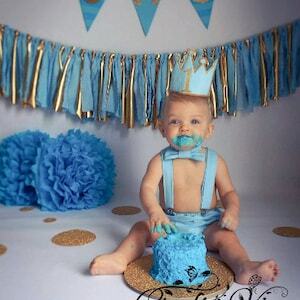 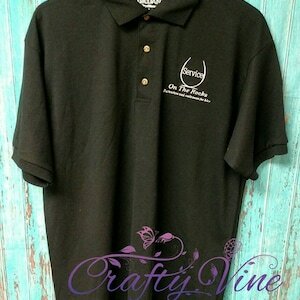 We can do any colors you would like just leave a note with the colors you would like.